Located in Taiwan, Ortery Technologies Inc. originated in 2002, and have demonstrated photography automation, innovation and leadership for the past 11 years. Ortery conducts their own engineering, manufacturing and design operations as well as operating a sales and marketing subsidiary located in California. 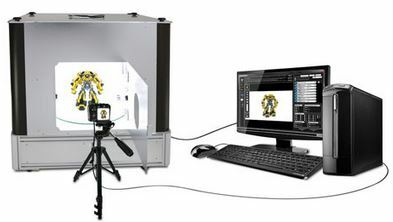 Ortery’s patented photography automation solutions are used globally for multiple business applications including eCommerce/web, daily business communication, design/development, quality control imaging and more. Current customers include thousands of large, medium and small size businesses, with Ortery establishing distribution in over 100 countries worldwide. Visit Ortery at stand 3212 at Fashion Exposed to experience how to take quality still, 360 & 3D photos in a short time and understand how their photography solutions can help to improve your businesses photography consistency. 22-24 February, 2014, Melbourne Exhibition Centre. Tags: 360, 3D, design, Development, Image Solutions, ortery, photography, Photography Automation, Product Imaging, Software Development, Still, technology. Bookmark the permalink.